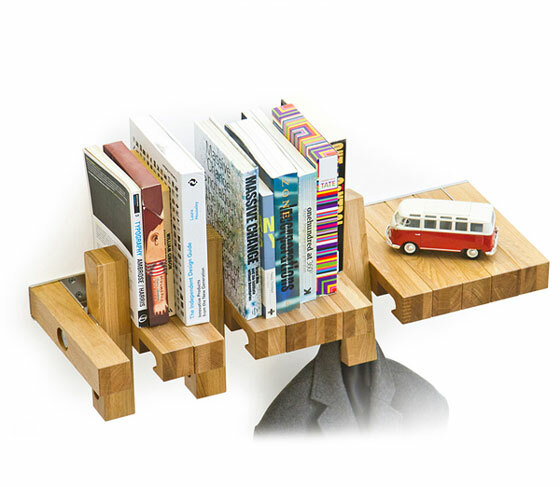 Fusillo is an Multi-functionalwooden bookshelf made of modular elements. All the modules are designed to rotate around a central axis providing support for the books. 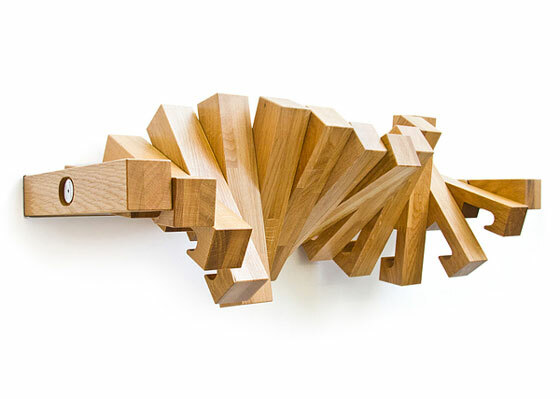 When untwisted the shelf is completely monolithic, the bottom part bottom part can be used as an hanging device where you can hang anything you like. 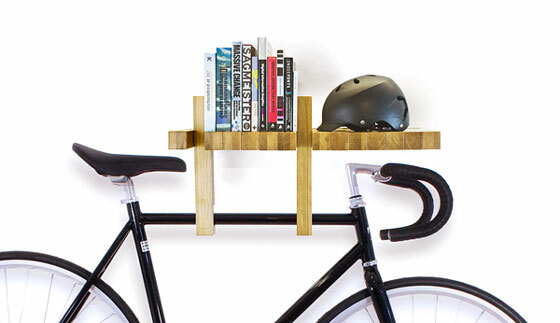 Hence, it is a bookshelf, but also can be transformed into a sensible coat hook, bicycle rack, or book ends. 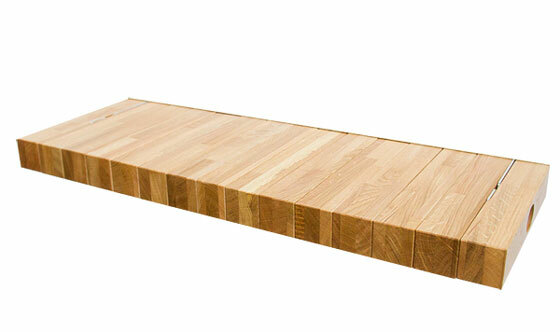 Moreover, multiple shelves can be endlessly combined to customize your space. 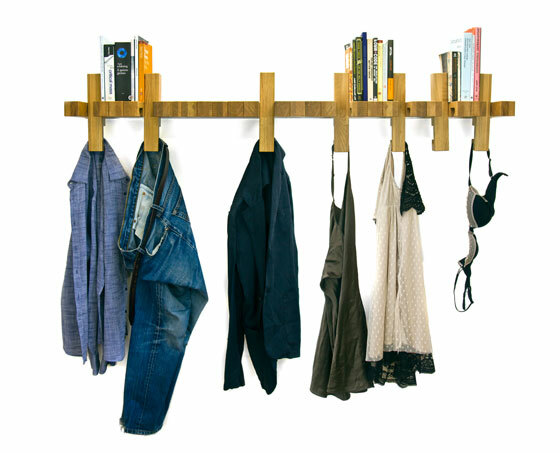 Nice design help you to utilize space.